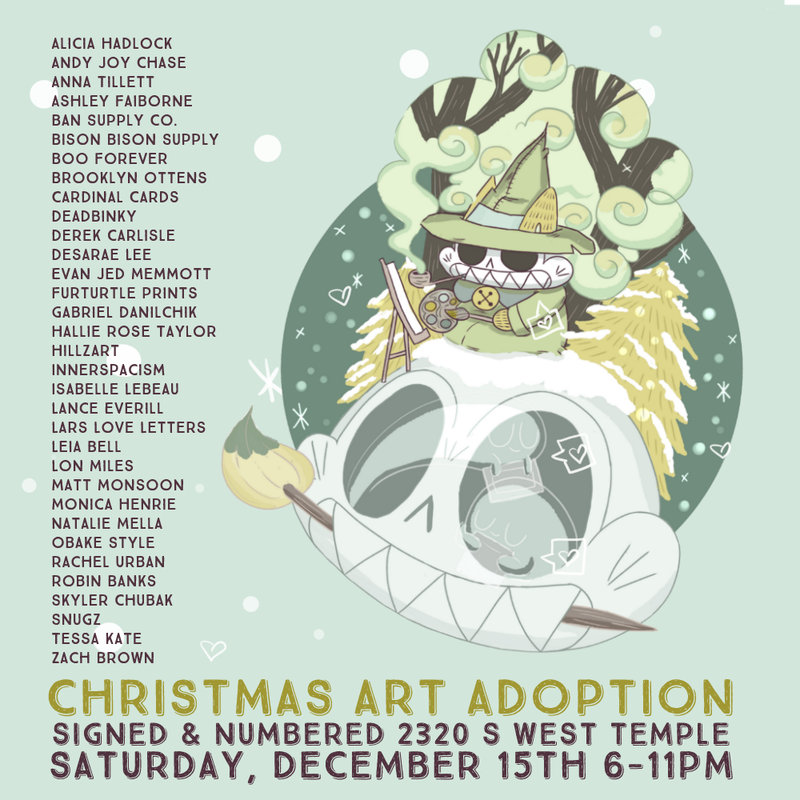 Art Adoption, Salt Lake’s pop-up with a purpose, is back for another night of charity and creativity. Now in its 11th year, the event provides local artists with the opportunity to offer up pieces that, with the holiday season fast approaching, have yet to find a good, loving home. With a list of participating artists that is both extensive and highly exciting, this year is set to see a whole lot of stellar works go up for grabs. Plus, by allocating the vast majority of proceeds to the creators, Art Adoption ensures that Salt Lake’s finest are able to keep doing their culturally important thing. Beyond supporting local painting and pottery, the event also has a philanthropic bent to it. Namely, attendees are encouraged to bring non-perishables and clothing with them to be donated to the Volunteers of America Youth Shelter, meaning Art Adoption is essentially the opportunity for do-goodery on two fronts.